adlexus: Its all about "Okay"
I love myself & I love my job (trying to be more positive ++). I love the world (living more positive ++..hehe). 2011's about to end. Gosh its been so damn fast. Seriously, 2011, wasn't a good year, or maybe I can say 60% wasn't that good la. (stop here...won't go blasting about resolution stuff & bla bla bla). 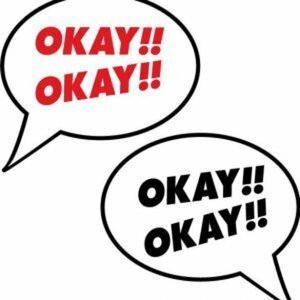 Back to topic, the word "okay" can be so powerful. Sometimes I do say it all the time, & in the end, its not good. But today I'm going to say it loud & proud "OKAY". Finally, I've known what the world (aka people around me) is. So easiest to say is "Okay" =). Its a good thing to know, so that I know la. Hehe. Well, looks like, we all got issues. Hurray! So its Friday today, lets enjoy the day. Hoping tomorrow would be a better day.